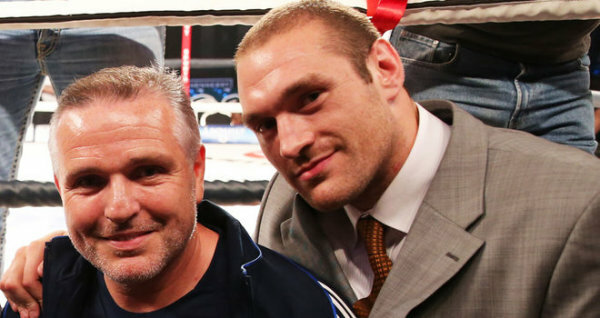 Stories are long and plentiful of the guy that has gone on too long in the sport of boxing. The ones who have suffered long term physical injuries, the person who slurs their words, the individuals that outlasted their stay in the sport for the one last crack at the big time or the opportunity to grab a last pay cheque. Perhaps even worse though are those that struggled to stay away once retired, yearning for the spotlight to be back on them and that feeling of stepping between the ropes in front of the fans who once worshipped them. For Arv Mittoo though, the decision wasn't a difficult one to hang up the gloves and there certainly wasn't the temptation to bring them back out of the wardrobe. "When I started boxing I knew it wouldn’t last forever but not everyone sees it that way" says Mittoo. "I know a lot of people who can’t seem to stop! But when I started I said to myself it won’t go on forever, that’s why it’s been an easy thing to finish. I knew when it started it would stop sometime and I was prepared for that. There’s not a hope in the world I will fight again, no chance! Again, when I started I thought I will do it while I can and I’ll do it before I slow down. I knew when I was ready to give up. I’m 44 now, I don’t want to be doing anything like that, I need to think about my health and I’ve got babies, I need to think about them. I don’t think I would have liked my father doing what I was doing! I enjoyed doing it before they were around and then when the third one came along I knocked it on the head." For Mittoo it wasn't a career of titles, belts and acclaim. His route was different, taking to the road and providing opposition to home fighters up and down the country, sometimes at short notice and sometimes at even shorter notice; Mittoo was a journeyman. But the headline, the label, only tells a small part of the story for the easily likeable Birmingham man. Retired for 10 years now, he is employed by Network Rail working night shifts on the tracks - for someone whose professional career lasted nine years and took in exactly 100 fights, Mittoo has his faculties about him still. He is bright, chirpy, enthusiastic and more than happy to talk his way back through his fighting career. He remembers with precise accuracy past opponents, how the fights went and is aware that due to circumstances he didn't always get the rub of the green when it came to outcomes. From those 100 fights there are 10 wins on the record, 85 losses and 5 draws. Mittoo was not a decorated fighter, not one who claimed the riches and the accolades that are available. But, he says, part of that is down to a career choice that he started without knowing. "It didn’t dawn on me that my career had gone like that until about 30 odd fights. I started to listen to people like Peter Buckley and Brian Coleman, follow their footsteps and listen to what they said. They told me there was no point getting in a proper fight, getting duffed and getting robbed anyway when I could instead fight again a week later, not get hit, throw a few punches and get paid for it. I got a few tips off them guys and went the same way they did." Peter Buckley. An outstanding servant within the sport. In total, Peter amassed 300 fights, winning 32, losing 256 and drawing 12. Names he has fought include current world champions Lee Selby (in his penultimate fight) and Kell Brook. The fact that one is a featherweight and the other a welterweight tells you that Buckley was adaptable, able to go up and down in divisions dependant on the fighter he was due to face that week. People like Buckley and Coleman are imperative to the sport of boxing, passing on years of experience to new prospects that they simply wouldn't be able to learn in other ways. The fact that after 30 fights Mittoo started to take advice from the career journeyman is an indication of the pathway his career was steering down. But it didn't all start off in this style. In fact Arv Mittoo was a promising amateur, having a long career before turning professional. "I had nearly 50 amateur fights too and did bloody well" Mittoo tells me, reflecting back on a period when a win was easier to come by. "Maybe I should have stayed in it to be quite honest a bit longer. My trainer didn’t want me to go professional. He’s an Olympic coach now my trainer, Bob Dylan, and he trains all the Olympic guys like Anthony Joshua up in Sheffield. That fella trained me and he always believed in me, what a good trainer he was. It didn’t surprise me when I heard he was training the Olympic team, he does very well." As a professional Mittoo was managed by Nobby Nobbs, a man who was notorious for looking after the careers of those in the sport who were at the bottom end of the winners table. "With Nobby you were always the away fighter, it was always hard fights and hard to get wins. I remember someone saying ‘don’t go with Nobby, you’ll end up coming back in a body bag! !’ but I avoided it alright" laughs Mittoo. At the time the management and promotional options for a fighter in the Midlands were limited. Today there are the likes of Jon Pegg, who guides current Commonwealth and British welterweight champion Sam Eggington. Does Mittoo see that life could have been different if there were more options when he started his career in 1996? "What I wish is someone could have given me the right guidance. Errol Johnson, Jon Pegg, these guys weren’t around when I went professional. I’m sure with Jon or Errol my career would have gone better, they have their own shows. When you were with Nobby you would go around the country. Nobby was a good bloke and paid you well but you would always go on other people’s shows to be the opponent. At least with Errol and Jon they have their own shows where people come to you and it gives you the chance to have wins." "What happened has happened but I didn’t realise the way the sport was in the sense of, if I was going to another guys town, even if I box his head off I’m not going to get the decision. On quite a lot of occasions that happened. As time went on I started to realise that, the ticket seller is going to win unless I knocked him out. I was never a big puncher but I was a very good boxer for a while until I decided to go to the other mode. It was never my intention to start that way, my intention was to win a British title or something. But when I realised what was going on around me I thought ‘OK I will do what other boxers in my situation do’. I could fight, then five days after fight again and five days after that fight again." Alas, it is a slippery slope for fighters that start to go down once the manager or promoter is arranging short notice fights. As Arv tells me, he got to a point where covering up and not sustaining damage becomes important. Fights become more frequent, times when fighters will be taking bouts in Scotland one weekend and London the next. The British Boxing Board of Control state that a fighter who is knocked out or stopped in a fight is not permitted to compete again for three weeks, so therefore learning how to survive in the ring and avoid taking heavy punishment becomes imperative to ensure the money keeps coming in. By that stage of the career, the label is fully in place; journeyman. 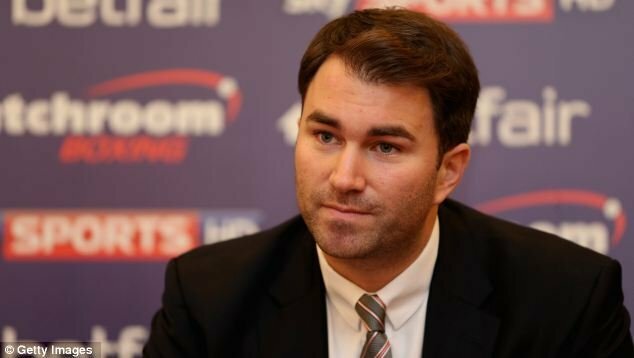 It may be one that fans, promoters and managers are all familiar with and comfortable using, but for the fighter himself is it one that he is comfortable with, or is it actually quite insulting and disparaging to someone who had put the majority of his fighting career into that title? "You know what it’s a horrible name, but when you look at it that’s what I was. It’s not what I wanted to do but it’s what happened, you travel around the country. I only ever fought once in my home town, and I won! But that’s how it goes. All the fights I was the away guy, even though sometimes I did get wins being away on cuts and stuff. The intention isn’t for you to win it’s for him; he goes out and sells all the tickets, you get a phone call telling you what you’re going to get paid and that’s it. I didn’t know the boxing game was like that and the majority of people don’t realise it, but that’s what it is." He goes on to tell me how at times, fighters can be their own worst enemy when they can't recognise that the signs are there to take their exit from the sport. "Look at Kristian Laight, he’s doing the right thing! The only thing is you have to know when to stop" says Mittoo, referring to the Nuneaton based boxer who goes by the moniker of 'Mr Reliable'. He has earned that name over the years, having recently taken his own bout total to 228 "I would have hated to carry on, not know when to stop and eventually the Board stop you. Because that’s what does happen. If you don’t know when to stop and take too much punishment the Board will stop you. 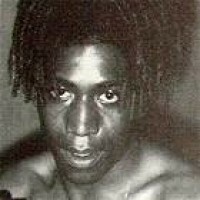 A guy called Howard Clarke, he was a very good fighter who fought for a world title out in America, he just continued fighting until the board stopped him. He’s no too well now. Fighters need to make a target of when to stop and not keep going on. I’ve got another friend, Jason Nesbitt, I hope they don’t stop him but I hope he’s clever enough to know when to stop himself. I took no punishment whatsoever, I stopped when I wanted to stop. I have nothing wrong with me. I knew when I started that I would stop when I was ready, not just keep going on for the money. At the time nobody had really done 100 fights, so I got to that and called it a day. I’ll say it again though that wasn’t my intention, my intention was to win titles!" So was there ever a time that Mittoo turned down a fight, perhaps an opponent that he just didn't want to get in with? "No, I always just fought. I realised how the game was, there was no need to turn anything down as I had nothing to lose. There was a time one day I was going to work as a parking attendant, and after that shift Nobby rung me up to see if I was coming down the gym and if I had my gear with me. I said yeah I’m coming now. ‘Oh good’ he said ‘I’ve got you a fight now!’. I turned up to training, he picked me up and took me off to fight. That’s how it goes." Flick through the 100 names on his record there are a handful that jump out. Ashley Theophane he fought back in 2004, the same fighter now aligned to Floyd Mayweather's 'Money team' and positioning himself for a world title shot in 2016. But there is one name that Arv is particularly proud of having shared a ring with. "It would have to be Junior Witter because of what he achieved. He went on straight after to fight Zab Judah and before me he had stopped quite a few guys. I went the distance with him but then again I fought differently. I thought ‘this guy is going for a world championship, I’m going to try and fight' and I did" he tells me, clearly delighted that he went the full four rounds with the man who would one fight later lose a unanimous decision to American multi weight world title holder Judah. When talking about the fight with Theophane, again it is one where the outcome may have been different if the circumstances weren't piled against him. "When I fought Ashley Theophane, if you can find footage of that fight there was nothing in it! I lost, but it was a close fight. I remember someone telling me at the time I had never lost that many fights, but that’s how it goes, a fight can be close but you’re not going to get it." The fight with Witter took place out of York Hall in Bethnal Green, cited as the home of English boxing. "I love it there" says Mittoo with a fondness one wouldn't expect him to have for a place that saw so many of his losses. "Although I fought all over the place Bethnal Green was where I seemed to spend a lot of my career fighting." As the career wound down in 2005, Mittoo had shared a ring with an impressive 14 British champions, a feat that only a select few would be able to boast. His last fight took place at one of the more impressive venues for boxing; the home of football club Norwich City, Carrow Road. It was against a foe he had previously fought and as he explains to me, the outcome was not only markedly different this time, but also consciously different. "I had fought the guy before and I had actually made him beat me first time" Mittoo laughs when looking back at a time he was there to provide the learning eperience. "He was a lovely guy, Steve Russell, he was heavier than me at the time. I came in at 11 and he was 11 and a half or twelve stone. When I fought him the second time I actually tried a bit and got a draw. He said to me ‘you were different this time’. It was different because I had tried to fight him back! Last time I didn’t try! He seemed a bit shocked by it." It was a relative high to leave the sport on for Mittoo, a draw in a football ground fight. The fact that this time around he had pushed his opponent for the fight, rather than tried to make him look good or give out the victory, shows just how many 'might have been' questions there are about Mittoo's career. Would it have been different if he was setup as a home fighter more? Would different promotional and managerial guidance have helped him? Would building a more padded early career have helped him gain favour from judges instead of being on the wrong end of harsh decisions? These questions are all impossible to answer now, but does he regret any of the career that he had? "I don’t have any regrets. Only thing is I didn’t win a few belts, but I made good money and hit 100 fights and the Board actually gave me a couple of awards as well funnily enough." He says that retirement is "fantastic". 10 years out of the sport and now aged 44, it is safe to say that he is one of the few fighters who not only retired happily but remains happily retired. There were those that doubted his resolve to stay away from the ring when that time came though. "When I was fighting at Carrow Road, a couple of promoters said I would be back for the easy money. I told them no chance! I’m not a fool with money, I don’t intend to waste it and keep on fighting. You need to know when to stop, but at the same time do it for a reason. I can’t remember what promoters said it, but I told them no. My lad wasn’t born then and he’s 10 now, I can still play with my kids and it’s all good." Indeed it is all good for Arv. Children he can play with, a job he can go to every day (or night) and memories of a fighting career that could have been entirely different. Would he allow his own son to take a career into boxing though, or would his experiences of the politics and lopsidedness of the sport mean he would dissuade his child? "If he wanted to do it I would never stop him. But I don’t think his mother wants him to do it. I wouldn’t stop him, it’s a good way to get disciplined and learn to respect everybody. It’s the best thing I’ve done, I wasn’t always the way I was but when I got into the sport it changed me because I started to respect people. 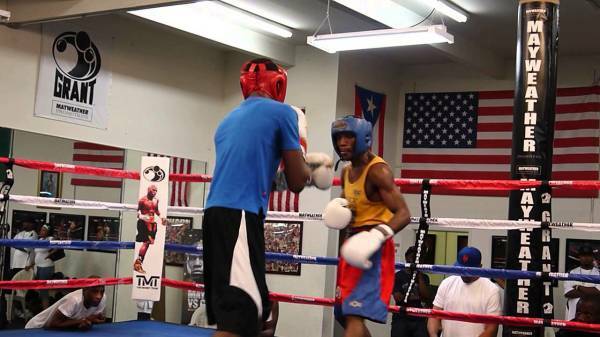 I have the most respect for everyone from going to a boxing gym and learning to box, the sport has changed me." "When you’re in the game you travel around the country and you start to realise what’s going on. You know, I even tried to become a referee. But they ring you up out the blue and want you to go here and there but I just didn’t have the time with young kids and my wife was at work plus the shifts I do. I do those shifts to I can bring my kids up, so I can’t drop everything at short notice. If I did become a ref though I wouldn’t have got any work anyway because I wouldn’t give it to the home guy, I would have given it to the one I thought had won it! That’s how it should be, shouldn’t it!" Indeed it should be - you would struggle to find any fan of the sport who would disagree. However as Arv says himself, those in the position he has been in accept the career for what it is. At what stage of their fighting career they accept it is up to them. For Mittoo it was relatively early on and he had the role models to guide him through his career, show him the tricks of the trade and pass on the secrets needed to be a fighter who can claim 100 bouts. Winners in the 20th Century don't get to 100 fights. 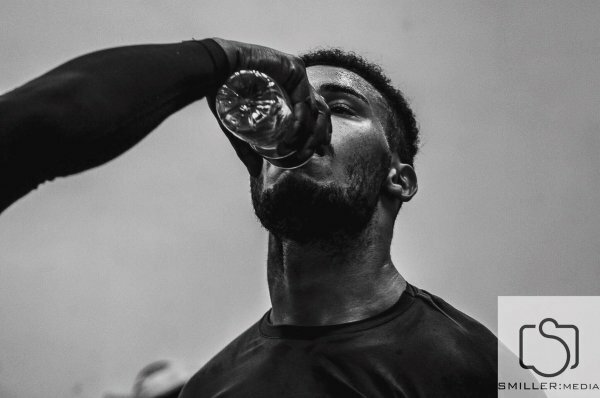 Strict training camp plans, rest periods between fights and promotional work dictate that it isn't a possibility. However, that doesn't make Mittoo a loser, far from it. It makes Mittoo a dedicated sportsman who was a master of his art within the sweet science. It may not have gone as he planned it at the beginning and he may have had to learn the dark secrets of the sports the hard way. But it seems that from speaking with him boxing has given back just as much as it took from him; Respect, memories and the ability to look back at all of it with his faculties intact.